If you haven’t decided on what to give your lady love this Valentine’s Day, give her a present that’s more thoughtful and personal than a box of chocolates. Spoil your girlfriend or your mom this February 14th with these simple do-it-yourself gifts and turn your utilitarian ideas into handmade wonders she’s sure to appreciate. Impress lady green thumb with a creative and eco-friendly present that would create a new, refreshing look for her patio or terrace. Repurpose your old tin buckets or trash bins by giving them a new paint job. 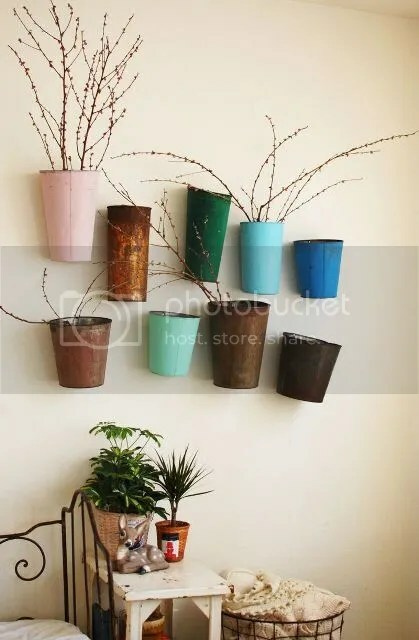 Drill holes on the garden wall then mount your plant containers on it to hold your mom’s orchids or shrubs. Feel free to play with colors and arrangements!